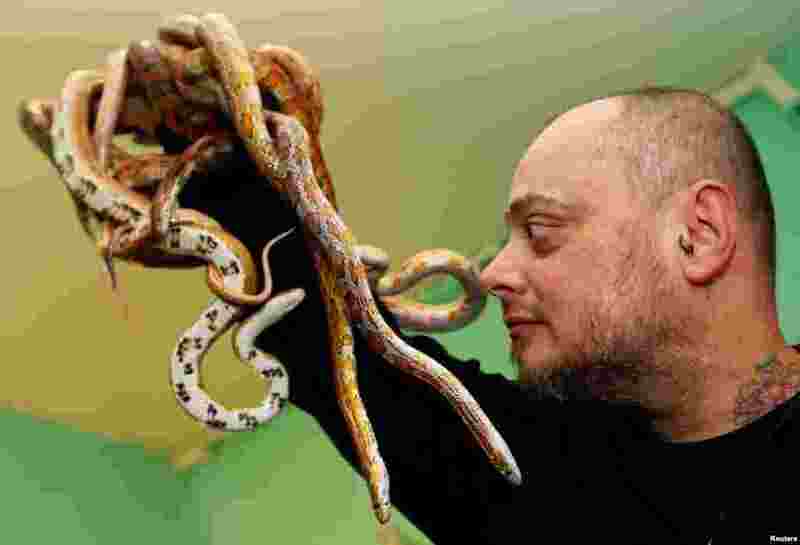 1 French man named Alexis, an exotic animal enthusiast, plays with his corn snakes (pantherophis guttatus) at his home in Bordeaux, France. 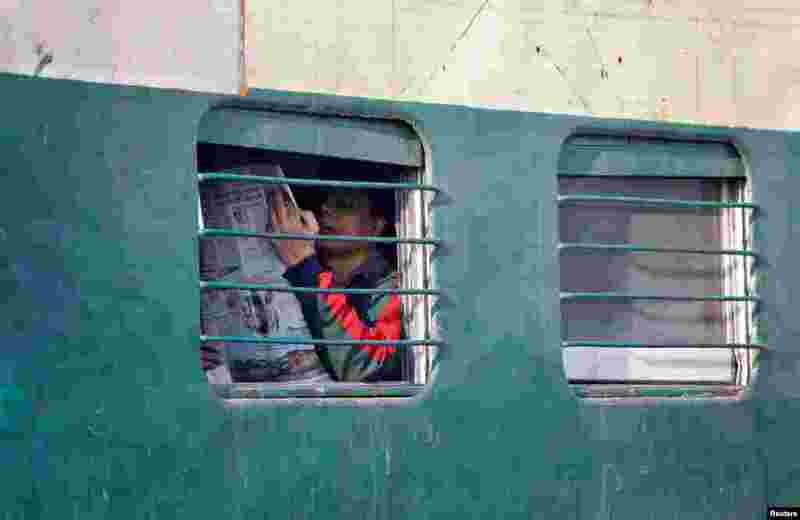 2 A man reads a newspaper on an intercity train in New Delhi, India. 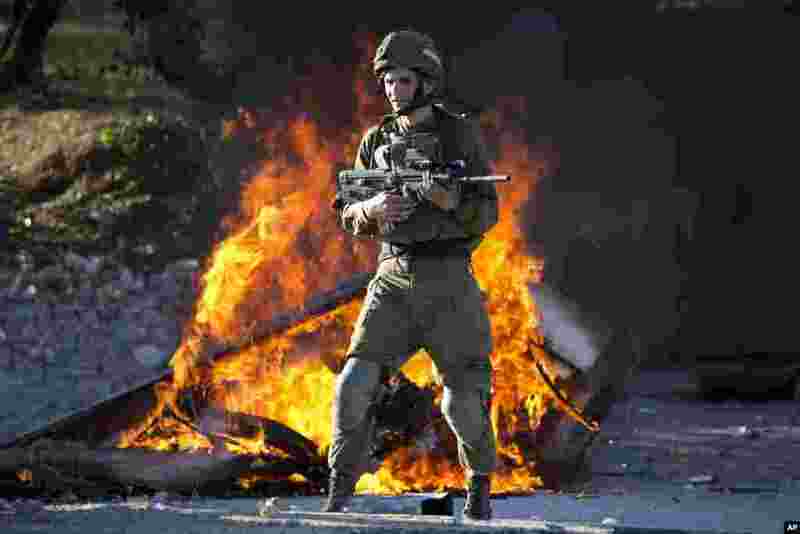 3 Israeli soldier stands during clashes with Palestinians following a protest against U.S. President Donald Trump's decision to recognize Jerusalem as the capital of Israel in the West Bank City of Nablus. 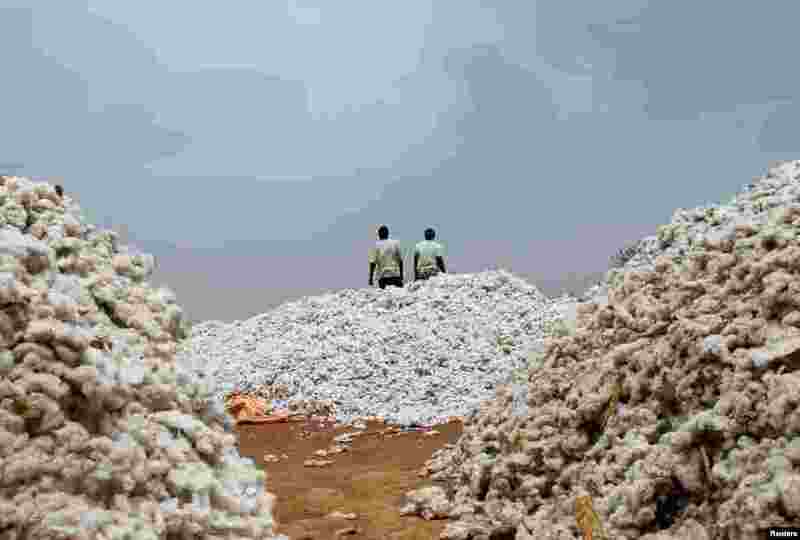 4 Farmers work at a cotton market in Soungalodaga village near Bobo-Dioulasso, Burkina Faso.